Not even the very windy conditions could halt progress and on 14 January the last segments of the glass viewing pod were lowered into place. On a historic day, the glass sections handmade by Sunglass in Italy, were all slotted into place in time for the arrival of the doors. Incredibly elegant they are also extremely robust and each section is four-panes thick. Their sleek design will offer unprecedented views of the surrounding city, sea and sky. Following the completion of the pod, the internal construction will begin, the top sections of the pod will be covered in protective foam and the glazing of the beach will commence. The framework for the western toll booth is also being built from January. 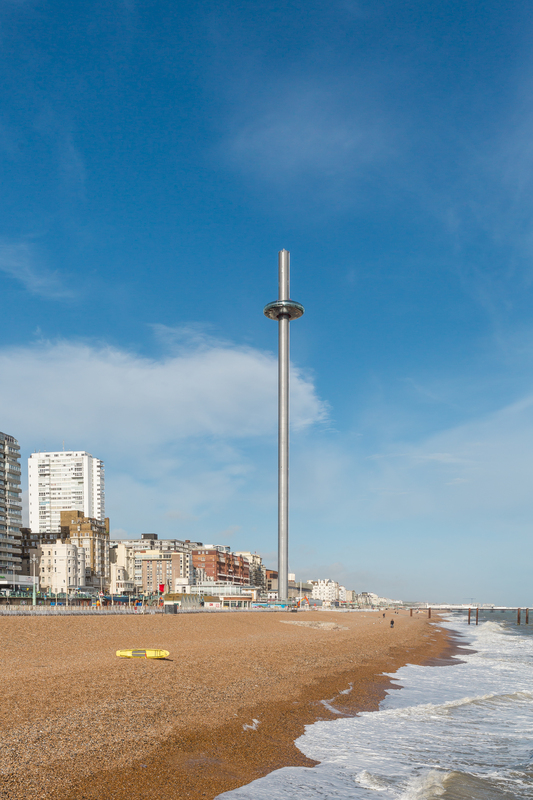 At 162 metres high, and with an observation pod rising to 138 metres, the i360 will be the tallest observation tower outside London, offering a new perspective on the fun loving seaside city of Brighton & Hove. 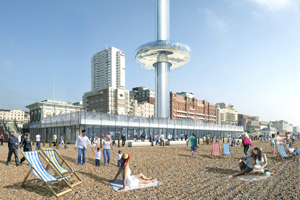 Sited at the root end of the historic West Pier on the city’s seafront, the i360 has a slender, elegant design, with a futuristic pod allowing 200 visitors at a time to enjoy the surrounding view as it slowly unfolds.